You’ve looked in the trunk and under the hood, but you cannot find the spare tire in your new car. But don’t worry. If you have a newer model vehicle, it is possible that it did not come with one. There are many reasons why some automotive manufacturers have chosen to forgo the classic spare; some of which include better fuel efficiency, increased storage space, lighter vehicular weight, reduced manufacturer costs, and much more. 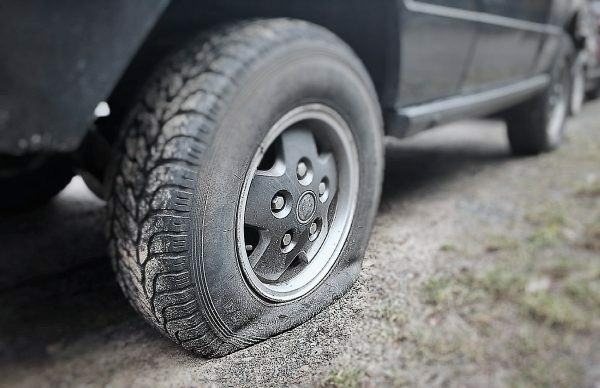 If your vehicle lacks a spare tire, it is wise to take the proper precautions to ensure you have a means of emergency tire replacement; otherwise, you are at risk of being stranded on the road in the case of a flat. Fortunately, there are some great options to choose from for your car or truck! Continue reading to learn three of the most popular alternatives to a spare tire. Some automotive manufacturers that have opted out of spare tires have substituted the loss with built-in tire inflator kits, but they are also available to the public as well. Tire inflator kits usually involve a type of aerosol seal kit that provides a temporary resolution for minor tire tread punctures. There are several brands of tire inflator kits on the market, all ranging in price between $20 and $200 depending on quality. They are designed to plug up small holes by spraying a tire sealant into the flat through its air-inflation valve, which inflates the tire just enough to drive it a very short distance. Potential Downside: The sealants in these kits can produce grime buildup inside a tire, which can disrupt the tire pressure monitoring system (TPMS). Run flat tires are the most well-known and traditional alternative to using a spare tire system. They are specially designed with reinforced sidewall (or internal support rings), which allow drivers to safely drive their vehicle for a limited distance on a punctured or ruptured tire. Run flats are only made to travel a short distance (between 10 and 15 miles) and at a moderate-to-slow speed (under 40 miles per hour). Consumers are pleased with run flats because they provide better control and maneuverability compared to a spare tire or donut. Potential Downside: Once run flat is used, regardless of distance driven, a tire will be completely unusable and must be replaced. You can purchase self-sealing tires as an alternative to housing a spare. These are tires that are designed with a built-in lining that is coated in a special sealant. So when the tire experiences a puncture, the sealant automatically begins to surround the hole. If there is a nail or piece of metal stuck inside the tire, the sealant will fill the hole after it is removed. Potential Downside: Self-sealing tires will not work if a tire’s sidewall is punctured, or if the puncture hole is too wide. Need Emergency Flat Tire Assistance in Indiana? 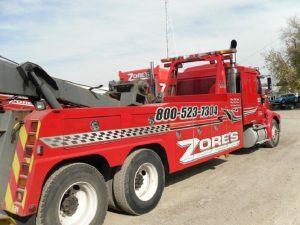 Call Zore’s Towing at 317-247-8484 for 24 hour roadside assistance and towing services in Indianapolis and throughout Central Indiana. Our friendly staff is waiting by the phones, ready to help you get back on the road, safe and sound. We operate 24 hours a day, 7 days a week, and 365 days a year, so you can always count on us. Request a free estimate, today. This entry was posted in Roadside Assistance and tagged 24 hour roadside assistance, alternatives to a spare tire, Indianapolis emergency roadside assistance, no spare tire in car, options spare tire. Bookmark the permalink.